The mission of Gaia Trust, according to its founding statutes, is “to promote a new, global consciousness which sees our entire planet as a living organism with Humankind as an integral part of the entity.” This section provides a record of the grants and awards made to date in fulfilling this mission. Since its founding in 1987, Gaia Trust has supported over 300 projects in more than 40 countries. 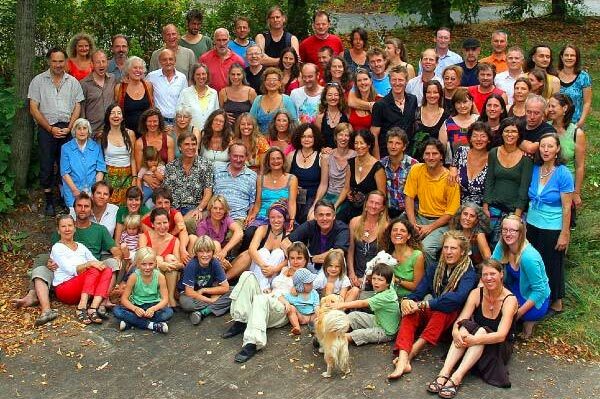 The single largest area of support has been the ecovillage movement, in particular the Global Ecovillage Network (GEN). 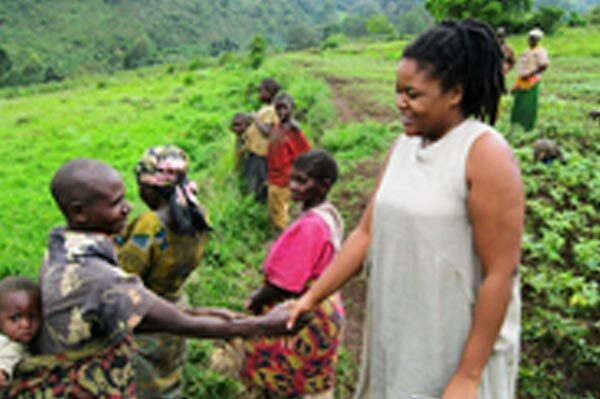 Gaia Trust chose this funding strategy because it felt that the ecovillage concept of building community goes to the very heart of the global crisis. If we are to create a sustainable and harmonious future, we must change the way we live and work – our lifestyle. Ecovillagers are doing this very thing through personal commitment, in spite of having very few resources and no help from their governments. They are providing the examples for all of us to adopt and the networks for us to join when we are ready to make the shift, which we will all have to do sooner or later. Therefore Gaia Trust felt that this was an area where its support could make a difference. Another major area of grants was the permaculture movement, which is closely related to the ecovillage movement. Permaculture is a very important design principle in a sustainable world where Humankind lives in harmony with nature. Permaculture design utilizes the naturally available resources on any given site optimally, and is relevant in all kinds of climates. For these reasons, Gaia Trust has encouraged the proliferation of these principles throughout the world by sponsoring the first permaculture course in several countries in a “Teach the Teachers” program using experienced teachers from different parts of the world. In most of these countries, the teachers who were trained have carried on permaculture teaching locally. Countries included in the program were: Peru, Belarus, Kenya, Senegal, Turkey, Cambodia, Cameroon, Hungary, Philippines, Ghana, Iceland, and the Bahamas. For more in-depth information about permaculture, consider a visit to the websites of two of the ecovillages with the most experience with this design technique, including extensive bibliographies – Earthhaven in the USA and Crystal Waters in Australia. Otherwise, the grants cover a wide range of worthy projects representing many facets of the ongoing gradual planetary transformation. It is inspiring to know that there are so many people doing so many really important things to make the world a better place to live. After over 10 years of support, Gaia Trust had to reduce its support for GEN and other projects drastically in 2003 as its funds were running very low. This was always the plan – to use up its capital while the founders were still active. The hope now is that GEN will be able to carry on with other sources of funding. Gaia Trust no longer accepts unsolicited grant applications, as its funds remaining are too small to justify a regular grants program. However, Gaia Trust will continue to support a few, smaller projects on its own initiative, particularly in the area of education, and will maintain this website as a source of information. 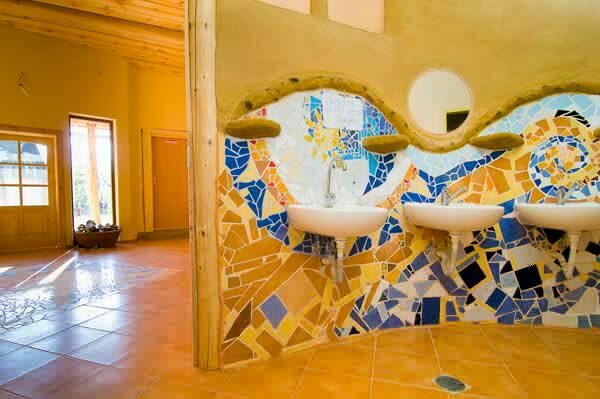 See, for example, the ongoing Gaia Education project, which offers courses in Ecovillage Design at ecovillages across the world. The historical records of Gaia Trust grants can be downloaded as an Excel spreadsheet (Note that there are several sheets in the document.) You can also download it as a pdf. *Currency: Danish Kroner. Figures in thousands (multiply by 1000). Figures include administrative costs. The closer you approach the Folkecenter in Thy from anywhere in the world, the greater the concentration of windmills per square kilometer. Preben is the man who started it all in a garage back in 1970. With little public support and an open-source research policy, his Folkecenter for Renewable Energy helped make the windmill industry Denmark’s most important export item, now contributing over 40 billion DKR in foreign exchange annually to the nation’s economy. Best known to the public for her comedy theatre and television appearances for children, Jytte has also been a long-time promoter of ecology in practice. She has had an enormous influence with her informal, hilarious style, high profile and personal commitment. Her major project recently has been establishment of the Ecological Demonstration House in Copenhagen where all can come and see practical applications of ecological living. She currently lives in Munksøgaard Ecovillage. 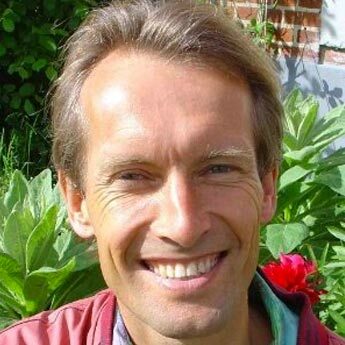 Bo is a major reason for the success of Svanholm, the largest organic farm (410 hectares) in Denmark, and a highly visible member of the ecovillage movement. 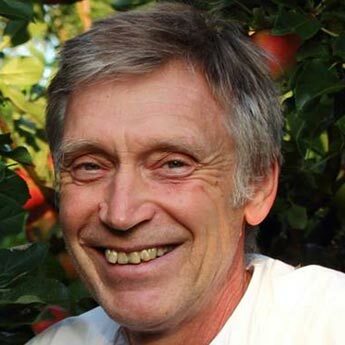 He has not only been one of the key people responsible for the organic farming at Svanholm for over 25 years, but he has also been an attractive and eloquent spokesman for the organic farming movement in Denmark and abroad – a shining example for all. Flemming has been Denmark’s leading ecological architect for over 25 years, and has been a great inspiration to the younger generation. He is especially well known for introducing the Finnish mass oven to Denmark. It utilizes over 95% of the biomass energy and is ideal for home heating in the Scandinavian climate. He was also the first to develop an efficient compost toilet in Denmark. 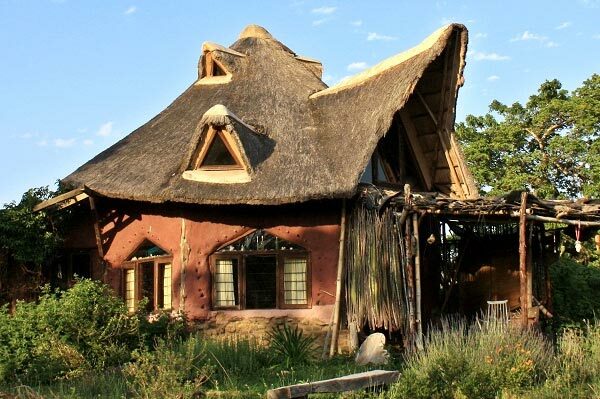 Recently, his beautiful cob houses have attracted much attention. Dyssekilde ecovillage demonstrates many of his designs. 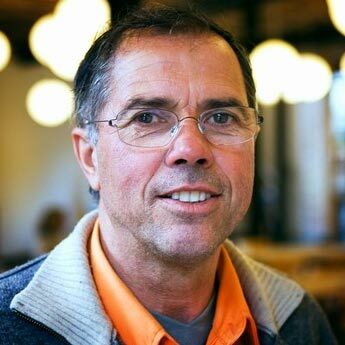 Steen is a charismatic communicator of the concept of a simple lifestyle, as demonstrated in his Friland ecovillage project, founded on three simple principles: no debt, no waste, no subsidies. The progress of this self-build ecovillage has been followed by thousands of Danes in a series of TV programs over a two yesr period. 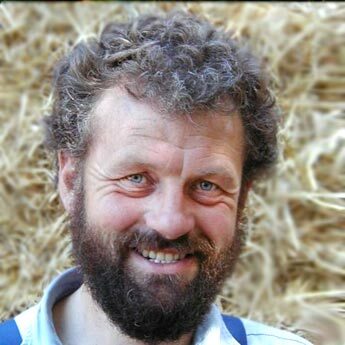 He has really stirred up things, bringing thr ecovillage concept to the mainstream and inspiring many to follow his example, especially with straw bale building. 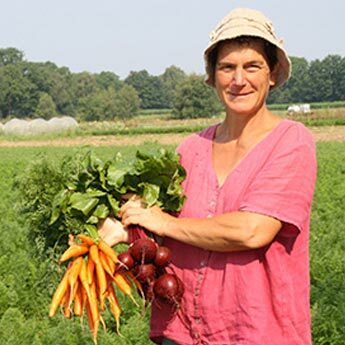 Christina is a gardener and tireless pioneer in the field of organic seed improvement, preservation and distribution to organic farmers. She is a dymnamic and effective countervailing force to the monopolization of monoculture seeds promoted by multinational corporations that give no consideration to the environment,sustainability or nutrition, but are driven only by profit maximation. Christina is not a Dane, but she lives so close to Denmark in northern Germany and her work is so important, that Gaia Trust made an exception this year. 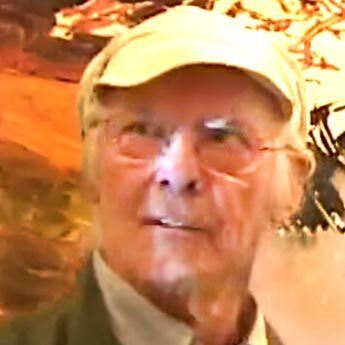 Troels was for many years the hard-working secretary of the Danish Ecovillage Network, and the creative editor of the LØS Newsletter, published quarterly since 1993. 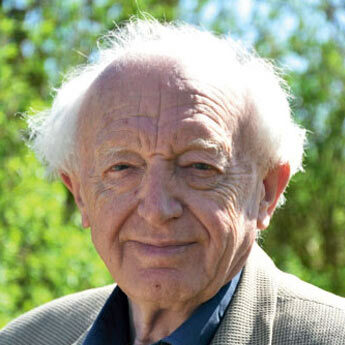 He also produced a series of DVDs on ecovillage living in Denmark. This award was made in recognition of his many years on the board of LØS and the outstanding contribution he made in promoting sustainability in Denmark. 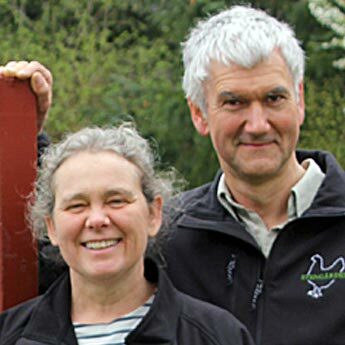 Jens Otto and Elisabeth are two of the pioneers of organic farming in Denmark. They have achieved notable success not only with their farming techniques, but with their very popular and ultra-modern mini-supermarket —one of the very first in Denmark—which started out as a small farm shop and just grew and grew . Today they have —besides their own fresh organic produce—a wide variety of organic food and non-food products from Denmark and abroad., drawing customers from the entire region. They are true role models for the organic farming movement. Beginning in 2004, Gaia Trust initiated a similar 25,000 DKR award on a European-wide basis to celebrate the accomplishments of the many individuals from many countries who are making admirable efforts to create a better world. The winner is chosen by the Council of GEN-Europe. 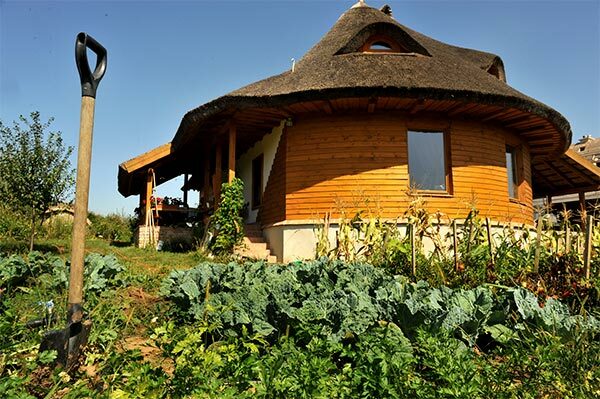 The first recipient was Galgafarm, Hungary – a 300-hectare organic farm near Galagaheviz, about a one hour’s drive from Budapest, with a seminar center, hotel and restaurant. A local group, led by Géza Varga and his partner Katelin, worked on and carefully planned the ecovillage project in a beautiful setting for about 15 years, including a complete model on display in the hotel, financing it entirely from earnings from the farm, while surmounting enormous difficulties along the way. In 2003, the infrastructure was completed, and in 2004, the first six homes of about thirty were built. Zegg, located close to Berlin, Germany, was awarded this year’s prize in recognition of its outreach activies, taking the community’s models for waste water treatment, permaculture design and organic food production into the wider region in which it is based. Zegg is noted for its wide network of contacts within and outside of Germany, and is a very visible, dynamic and well-functioning community. Zegg’s well-known “Forum” technique is a world class standard for conflict resolution in community. 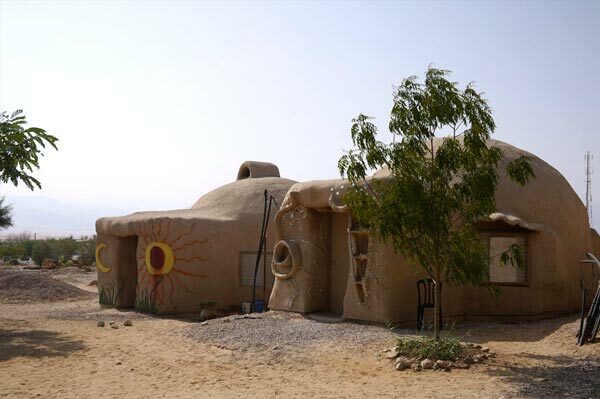 This unique kibbutz in a desert area of Israel was recognized this year for its environmental education program and its work promoting ecological building and sustainability through the building of bridges among different ethnic groups, including a partnership of Jewish and arab eco-builders, architects, academics and farmers, who promote social and environmental justice in their region. 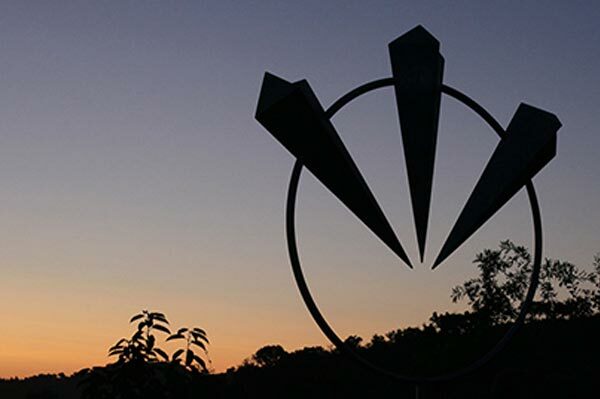 Kibbutz Lotan’s mission is inspired by the Jewish concept of Tikkun Olam, which means world mending and transformation. 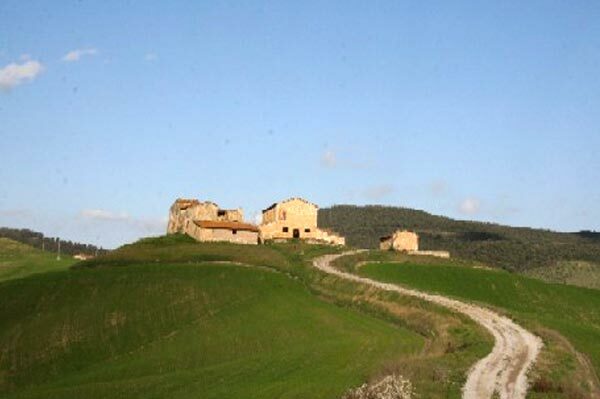 La Comune was established in 1979, located at the edge of a small village in the hills, 12 km from Siena in Italy, with the idea of experimenting group life in an atmosphere of sharing human and economic resources. Around 20 members live in an old restructured farm house in a shared economy and using consensus for their decision making processes. The community runs an organic farm producing a variety of vegetables, olives, grapes, cereals and keeping different kinds of animals. Zajezova was “discovered” after 1989 by enthusiasts of traditional culture who established ”The School of Folk Culture” in the site. “Zaježka” became popular very quickly and hundreds of people visited its many workshops and summer camps. People living there are inspired by the simple, modest and self-sufficient life-style of their predecessors, but not trying to enforce a return to the way of life of 100 or more years ago. On the contrary – by experimenting with their own fates they are searching for a way of life in full value, but not at the expense of nature, other people, or personal development. GEN Senegal is the first African national ecovillage network. They helped to initiate The Senegal Ecovillages Programme which is about empowerment of the local communities through a participatory spatial planning approach. That includes green house gas mitigation and adaptation to adverse impacts of climate change, sustainable human development by developing participatory ecosystem conservation whilst also maintaining the cultural identities of Senegalese traditional villages. The earlier initiatives of GEN-Senegal lead to the establishment of grass-roots movement comprising 45 ecovillages. The seed of Khula Dhamma was planted in 2000 when a group of friends who shared the Vipassana meditation practice, moved onto an isolated farm near the coastal village of Haga Haga in the Eastern Cape, South Africa. In 2003 two committed pioneers arrived and the vision started to take shape… Khula Dhamma – which to the residents means “to grow on the path of awakening”- is the founding and core intention of community. Together they create an environment that nurtures spiritual growth, promotes a peaceful coexistence among diverse people, and that helps restore conscious interconnectedness with Nature. Organic Technology Extension and Promotion of Initiative Centre (OTEPIC) is a community based organization born out of passion for sharing knowledge and innovative approaches with those who need it most: subsistence farmers, and in particular, women and youth groups in Trans-Nzoia district of north-western Kenya and its surrounding areas. OTEPIC brings to community gardens Permaculture, teach people to save seeds, to grow in mixed cultures and to harvest several times a year. The aim of the project is to make organic farming, Permaculture and Solar Energy effective ways of improving the lives of poor people. 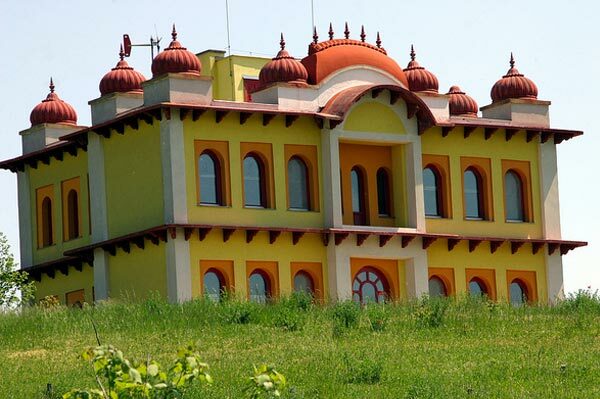 Krishna Valley is situated Hungary. It is a community with a vital spiritual life and devotion with people who are able to share their experience and culture in an open, non-dogmatic and often joyful and funny way. 150 “devotees” live in Krishna Valley as nuns, monks or families, and the same amount of members live in the surrounding villages. They are proud to sustain themselves fully with vegetables and produce double as much cereals as they need. Krishna Valley is the most advanced self-sustainable ecovillage of the worldwide Krishna movement. The colourful temple, many shrines around the site and a generous stable for the sacred cows and oxen are a crucial part of their religious culture. 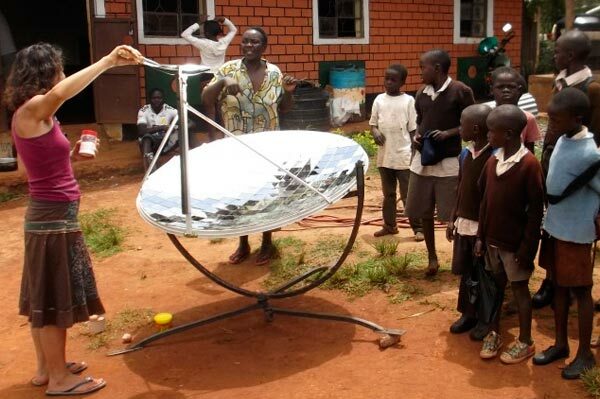 Maili Saba is a Kenyan women´s initiative. 40 women formed a self help group, shared their little plots of land and created one big garden. They have learnt how to grow their own food with permaculture, making use of the natural resources like compost, water harvesting and dry land farming. The money they save by not using chemical fertilizers is used to buy the school books for their children. 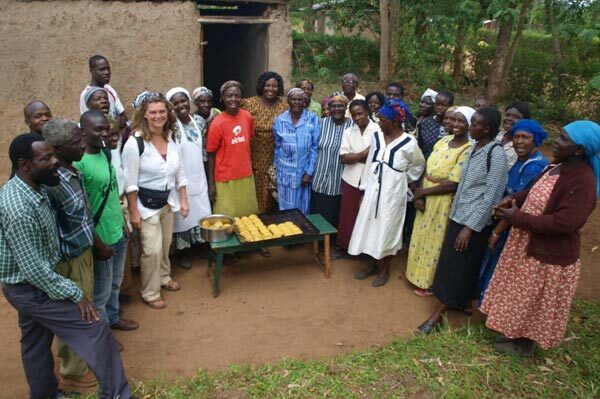 Their biggest pride is their own bakery where they produce bread from sweet potato flour. What is the most important is that nobody in their community is going hungry anymore, not even in the dry season, and their children are healthy, as they grow a large variety and not only corn like before.